Some California port truckers claim California Cartage Co. and its subsidiaries are committing wage theft and violating federal law by not paying them prevailing earnings and benefits for government contract work hauling tanks and jeeps for the military. 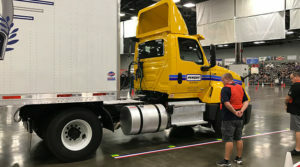 The Teamsters filed a complaint with the Department of Defense on behalf of the drivers, alleging the company’s violation of the McNamara-O’Hara Service Contract Act, or SCA. 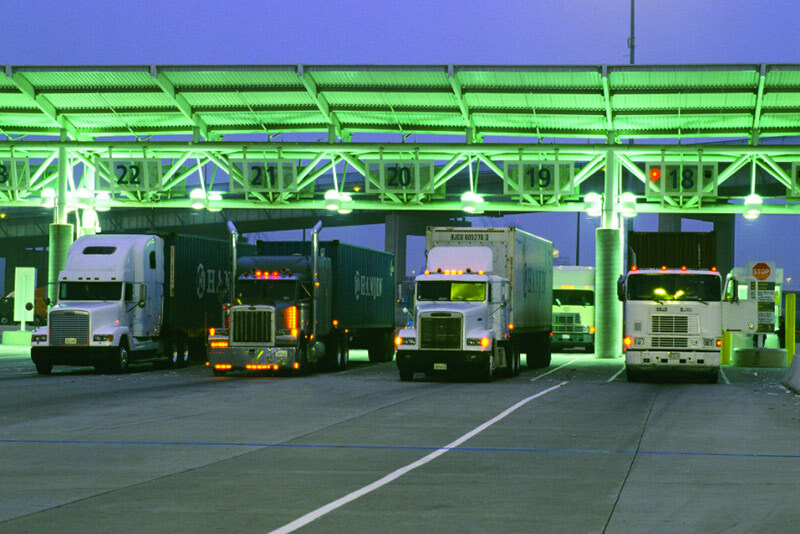 In a Dec. 5 letter to the federal government, the Teamsters claimed the port companies are failing to pay the drivers an hourly rate and benefit package of $21.78 and $4.27, respectively, as determined by the SCA. With more than 800 trucks located at the Port of Los Angeles, California Cartage controls around 10 percent of the containers hauling freight out of the harbor through its five trucking companies, including: K&R Transportation LLC; California Multimodal LLC, or CMI; Container Freight EIT LLC; California Cartage Express LLC; and F&S Distributing LLC. Independent contractors who work for California Cartage subsidiary K&R Transportation claim that once the costly deductions are taken from their weekly settlements for fuel, lease payments, insurance and maintenance costs to pick up their Department of Defense, or DOD, loads, their average hourly wage falls well below the “SCA wage determination rate.” The drivers also claim they do not receive any benefits since they are not employees. These drivers – as well as the others who work for the companies under the California Cartage umbrella – also claim they are illegally misclassified as independent contractors. Bob Sanders, general counsel for California Cartage, did not return phone calls to Trucks.com seeking the company’s response to the allegations. K&R driver Reyes Castellanos has worked for the carrier since 2009. He is in a lease-purchase agreement with the company and has had his truck for four years. He said he only has one year left – if he can hold out that long – before his truck is paid off. 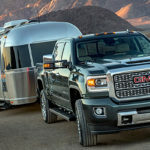 However, he has had to sink a lot of money into fixing his truck, which has had serious problems since he entered into his current lease-purchase agreement. “I am responsible for anything that breaks down on the truck, new tires, oil changes, everything,” Castellanos told Trucks.com. His truck is currently broken down, and he said he may not receive a paycheck this week because as an independent contractor he does not receive paid days off, sick days or holiday pay like an employee driver would. “Until recently, I was not aware that K&R was breaking the law, but after I did some investigating, I realized this isn’t how things are supposed to work,” Castellanos said. Also, as an independent contractor, he is not allowed to take his truck to work for another company. California Cartage and the companies under its umbrella are not new to wage theft allegations and misclassification complaints. 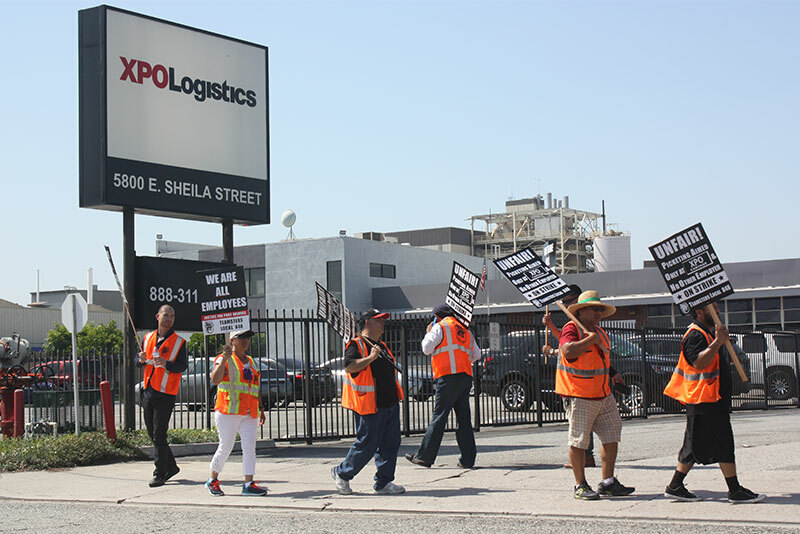 In fact, over the past two years, there have been at least seven decisions issued by the California Labor Commissioner against the transportation conglomerate in favor of port truck drivers who have filed the same two. And by order of the state’s Labor Commissioner, California Cartage and its subsidiaries paid more than $900,000 in back pay and penalties to settle with some of the drivers. There are another five cases remaining on appeal in California Superior Court, the Teamsters said. Truck drivers for K&R Transportation and Container Freight EIT filed class action lawsuits against the company in September 2016, also alleging misclassification and wage theft. Two additional class action lawsuits also have been filed against CMI and California Cartage Express claiming similar violations. K&R drivers also filed a lawsuit in January 2015 over the misclassification issue, seeking over $6 million in back pay. California Cartage would be liable for an estimated $105 million for wage theft if all of its port drivers won their decisions, according to the Teamsters. The labor group also claims that the California Cartage is “costing the state an estimated $8.5 million per year” by misclassifying its drivers in unpaid payroll taxes, withholdings and workers’ compensation premiums. The misclassification issue has turned into a bitter legal battle, pitting drivers against trucking companies in courtrooms and on picket lines in California and at ports across the U.S. Since 2011, California truckers have filed more than 800 wage claims alleging they have been misclassified as independent contractors and were denied benefits owed to employees. California port drayage companies have paid tens of millions of dollars to drivers who have won more than 300 cases. There are still around 199 driver wage claims pending, according to the Department of Industrial Relations. The National Employment Law Project says that California port carriers are liable for an estimated $850 million per year in wage and hour violations. Good article. California does a lot for workers’ rights, but it’s still not enough to keep things like this from happening.